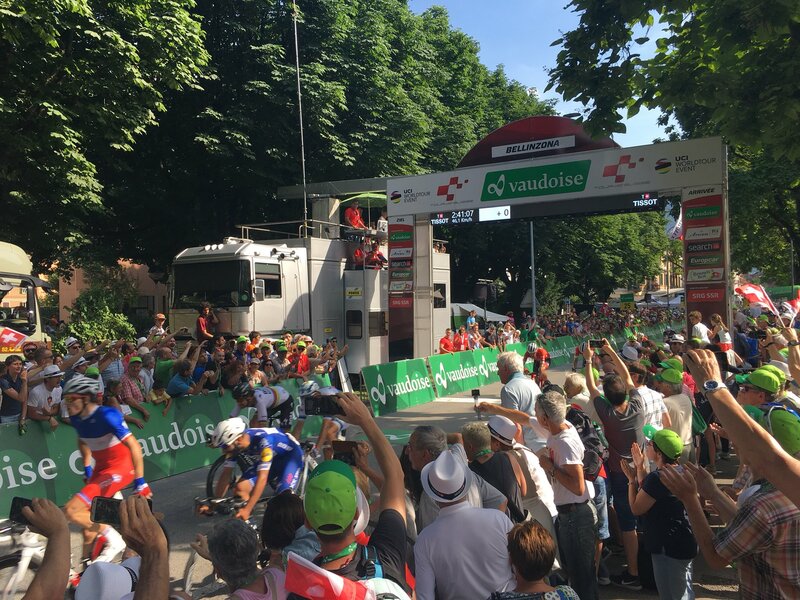 Arnaud Demare (Groupama-FDJ) sprinted to victory in stage 8 of the Tour de Suisse today, beating Fernando Gaviria (Quick-Step Floors) and Alexander Kristoff (UAE Team Emirates) in a final sprint for the finish in Bellinzona. Meanwhile, race leader Ritchie Porte (BMC Racing Team) finished safely in the peloton to maintain his lead of 17 seconds over Nairo Quintana (Movistar Team) in the overall classification ahead of tomorrow’s final stage, while Wilco Kelderman (Team Sunweb) held onto third place at 52 seconds back. 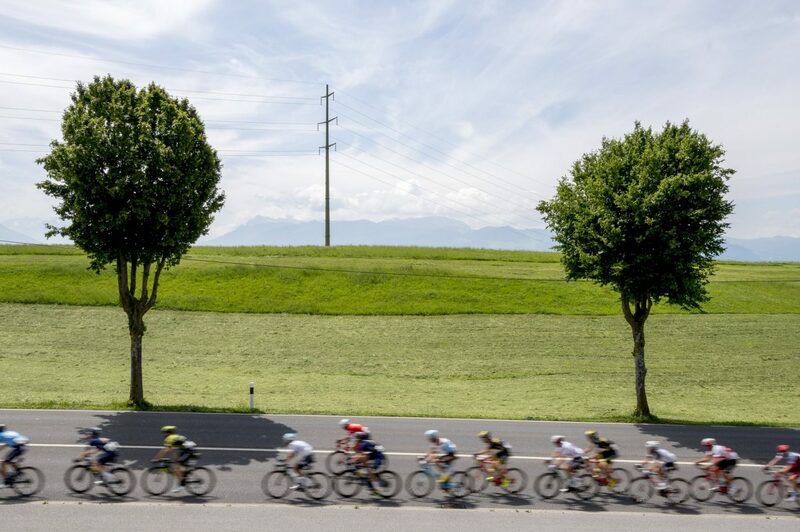 A small group of riders containing Willie Smit (Katusha-Alpecin), Nathan Brown (EF Education First), Edward Dunbar (Aqua Blue Sport) and Paul Ourselin (Direct Energie) attacked during the first few kilometers of today’s 123.8 kilometer stage. From there, the escapees went on to establish a modest advantage of more than two minutes over the peloton. However, as the race entered the last 9 kilometers, only Smit and Dunbar remained out front, until the duo was eventually reined in by the peloton with 5 kilometers to go. Groupama-FDJ controlled the pace of the peloton from there, moving Demare into perfect position that saw the French rider hold-off challenges from Gaviria and Kristoff to seize the stage honors. 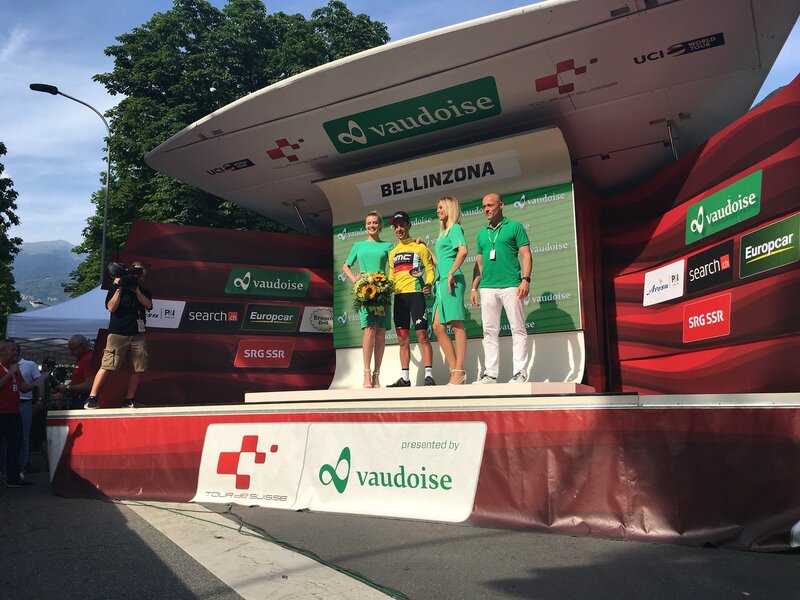 Tomorrow’s final stage entails a 34 kilometer Individual Time Trial in Bellinzona.